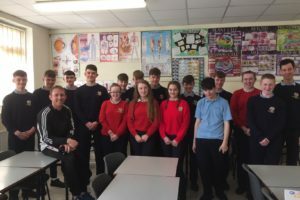 Thanks to Brian Roache, past pupil of Dunmore Community School and managing director of Legacy Performance in Tuam, who took time out of his busy schedule to talk to the TY students about nutrition and fitness. 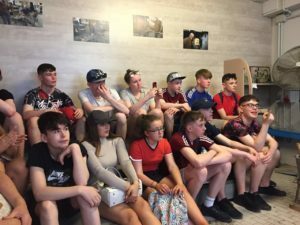 The talk was based on a questionnaire completed by the TY students in their SPHE class during the previous weeks. 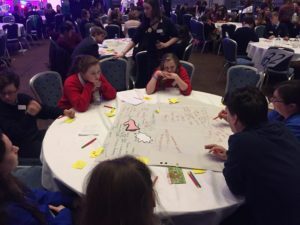 The talk was designed specifically for their individual concerns and needs according to their feedback. 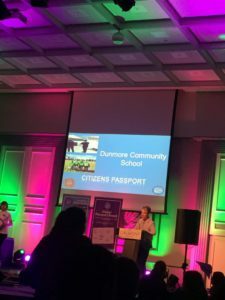 It was highly beneficial to the students and was greatly appreciated by the students, staff and management of Dunmore Community School. 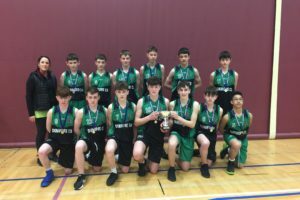 Congrats to our 2nd team boys basketball team who won 2 of their 3 matches today putting them through to the All Ireland finals taking place next Wednesday in Tallaght. 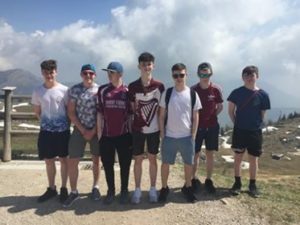 Well done to the boys and Ms Grehan. 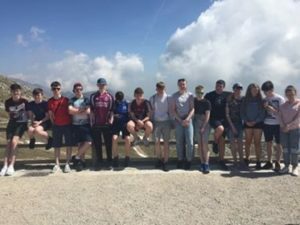 Fantastic achievement. 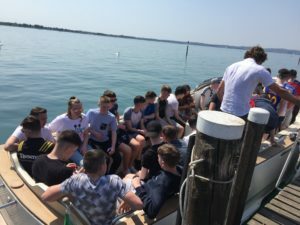 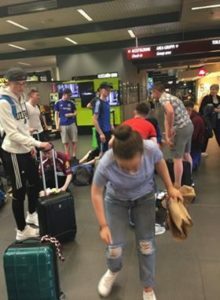 The trip to Italy is over – they are all safely on their way home. 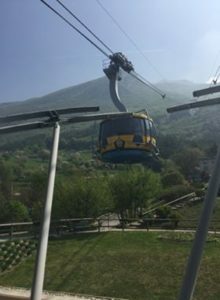 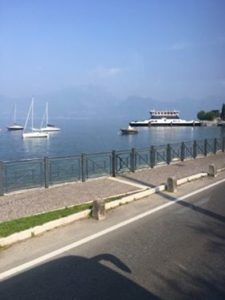 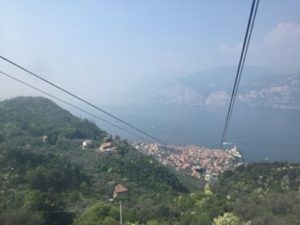 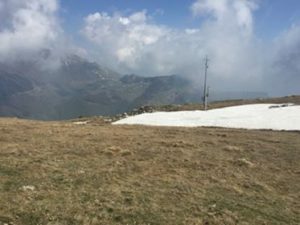 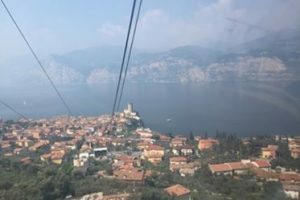 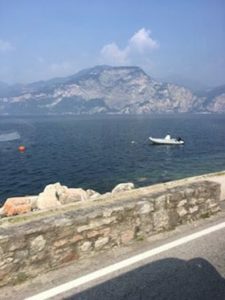 Day 4 -Malcesine – cable car to Monte Baldo. 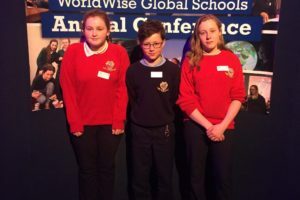 After applying for the global passport award, 3 first years attended the World Wise Global Schools awards ceremony in Galway yesterday. 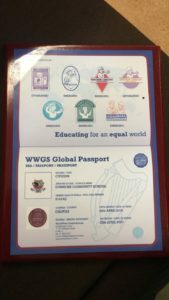 The students accepted a Citizens Passport award for their incorporation of development educational issues into the school. 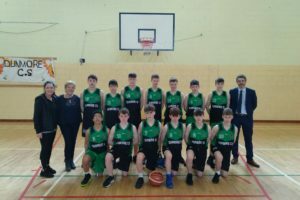 Best of luck to our second year boys basketball team & Ms Grehan when they participate in the All Ireland playoffs on Thurs. 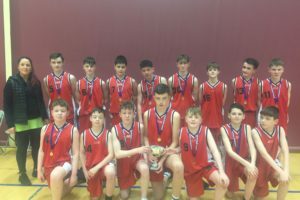 Dunmore CS will host Bush PP, Tallaght CS & Foxford. 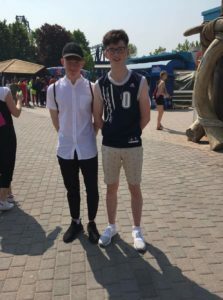 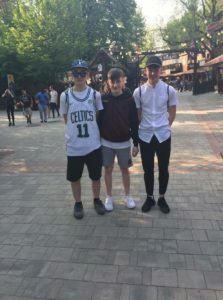 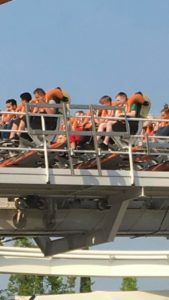 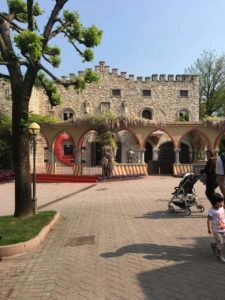 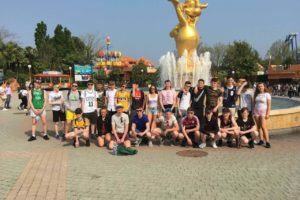 Today our TY’s visited Gardaland theme park, safe to say they had a fantastic time. 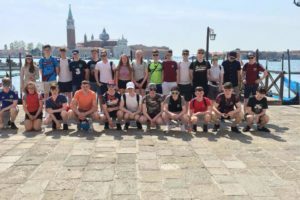 Final score Dunmore 44, Cork 21. 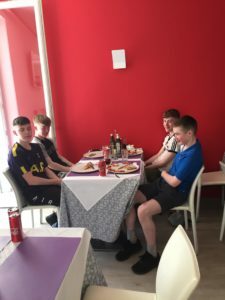 Three wins today. 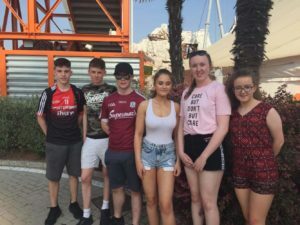 Our 1st year’s are now through to the All Ireland finals. 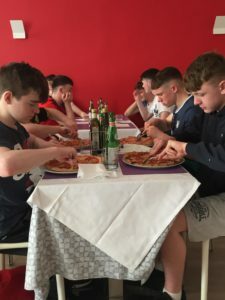 Well done Ms Grehan and the lads. 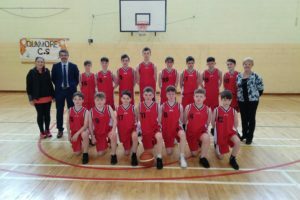 Best of luck to our First Year Boys Basketball team & Ms Grehan who participate in the All Ireland Play-offs on Tues. Dunmore CS will host Cork , Sligo & Dublin and the winners will go forward to the All Ireland Play-offs next week in the Basketball Arena in Tallaght. 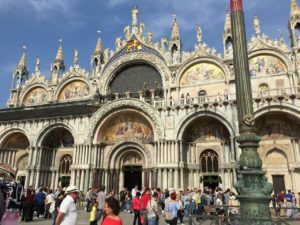 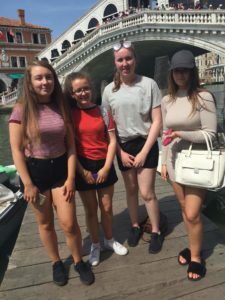 Just a few pictures of today’s trip around Venice. 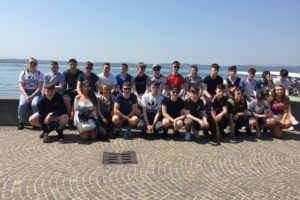 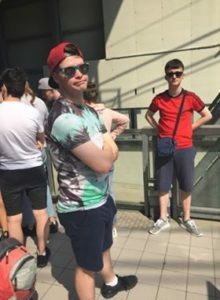 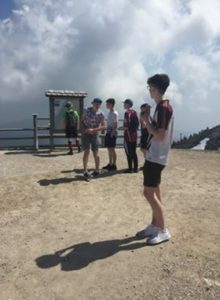 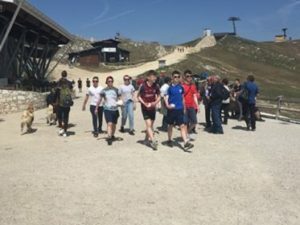 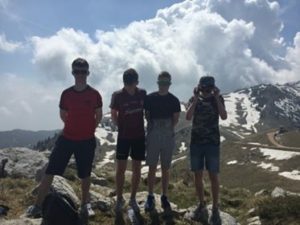 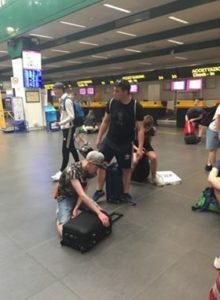 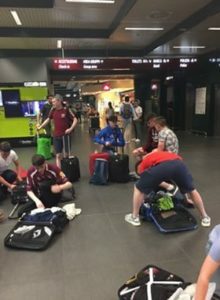 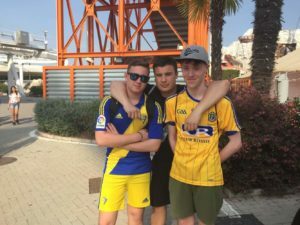 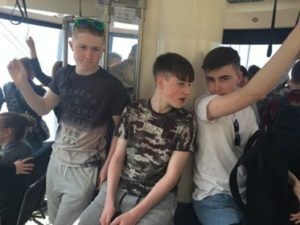 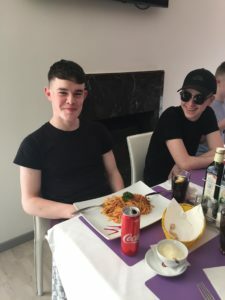 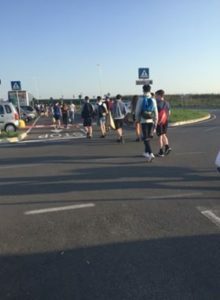 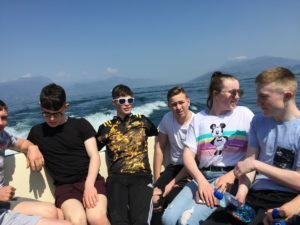 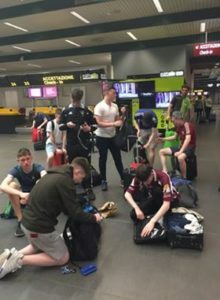 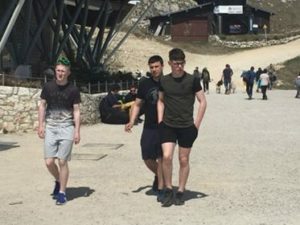 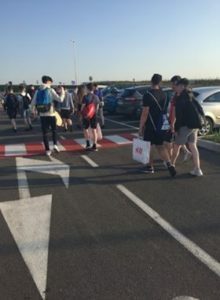 Our TY’s headed off from Dunmore extremely early this morning and have landed and spent their 1st day experiencing the weather and sights of Italy. 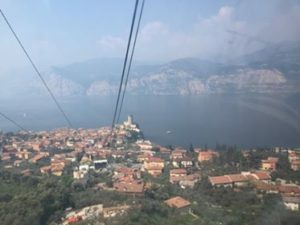 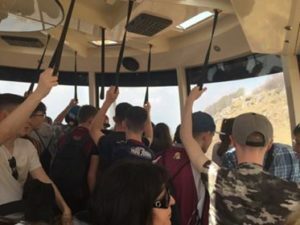 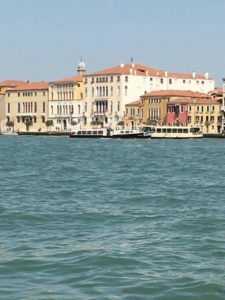 They have already taken a scenic boat trip, viewed the house of Malla Callas, the Grotte of Catullo, the Scaligeri castle, taken a tour of Verona and visited Juilet’s house. 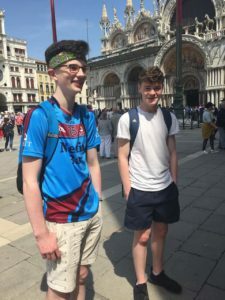 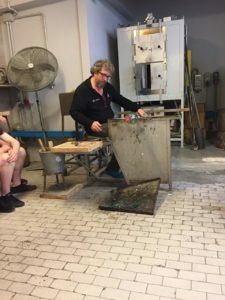 Tomorrow they are travelling to Venice and on Tuesday spending the day in G ardaland.